Residents of Shilo in Binyamin say Arabs plowing nearby fields under protection of security forces taking pictures of their himes. A security hazard near Shilo? 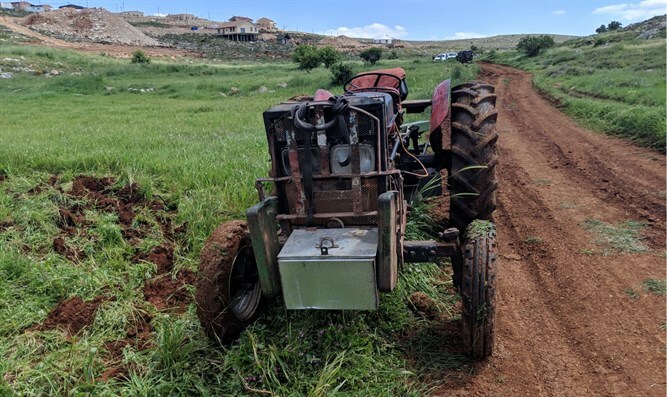 The residents of Shilo in Binyamin say that Arabs are plowing the fields adjacent to the hills of Shilo under the protection of the security forces, and according to the residents, the land is adjacent to the blue line where land ownership is unclear. The residents also say that the Arabs are photographing the houses in Shilo for reasons that are unclear.